Bard Dispoz-A-Bag® Leg Bags are made from heavy duty vinyl for extended wear, odor containment and leak resistance. Each leg bag contains an anti reflux valve. 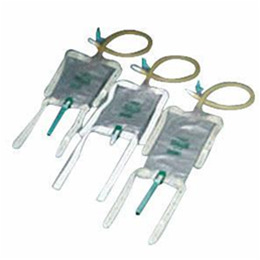 These leg bags are reusable, sterile and may be connected to McGuire style urinal, Bardic Uro Sheath and most other urinary appliances. Bard Dispoz-A-Bag® Leg Bags are sterile. Provides quality, reliability and dependability. Comes with 1 pair latex straps. Lightweight.